One-term incumbent Republican Jim Risch was elected with 58% of the vote in 2008. He will be 71 years old in 2014. Risch plans to seek a second term. History of Idaho. 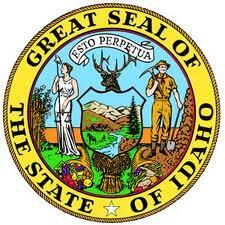 Information that every Idaho Senator Candidate Should Know. Native people have lived in Idaho for more than 14,000 years. The earliest evidence of their existence is in the bows, arrows and pottery they crafted about 1,500 years ago. 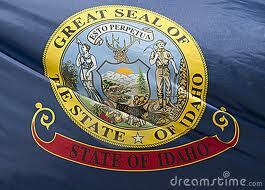 The Louisiana Purchase in 1803 included the Idaho territory. That momentous event was soon followed by the Lewis and Clark Expedition, which traversed Central Idaho in an unfulfilled quest for a navigable route to the Pacific Ocean. Lewis and Clark entered what is now Idaho at Lemhi Passnear Salmon only to encounter seemingly endless, forbidding peaks ahead. Traders and trappers would soon follow. Kullyspell House, the first non-native establishment in the Northwest, was built in 1809 near Lake Pend Oreille, followed by Fort Henry near St. Anthony in eastern Idaho. In 1830 Captain Bonneville escorted the first wagon train across southern Idaho and in 1834 Fort Halland Fort Boise were established. By 1843 the Oregon Trail migration had begun but most emigrants bypassed Idaho for milder climates in Oregon. That trend would soon change as French Canadians discovered gold on the Pend Oreille River in 1852.